18 years after the death of the musician Trinh Cong Son, Hue people still hold a deep, passionate love for his music. Hue has so many faithful Trinh music fans. 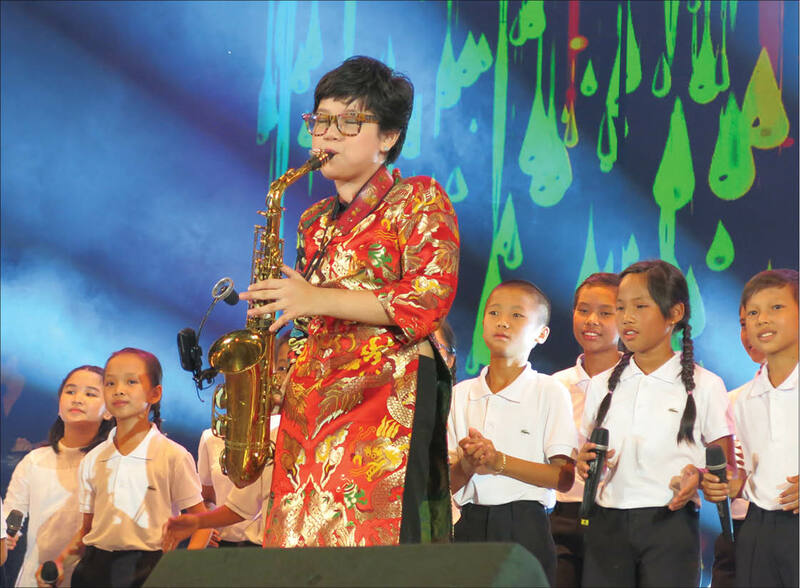 Every year, on April 1st, the day musician Trinh Cong Son passed away, many memorial spaces appear in Hue, in the late evening gardens or on the quiet streets. They sing Trinh’s music with a simple love. Not only to commemorate, to send affection to the musician, but also to reflect and sympathize through the meaningful lyrics full of humanity. With Trinh’s music, everyone can find the right music for any space, at any time, and with any emotion. With the music night "Nhu canh vac bay” at Hoan Kiem Tea room (70 Pham Van Dong, Hue City) on the evening of April 1st, many Trinh fans will certainly come, quietly lit candles to commemorate and listen to the songs about fate, love ... Also because of the love for Trinh’s music, since the establishment of the tea room so far, Phung My Hanh, the owner of Hoan Kiem tea room, has always created music spaces dedicated to the talented musician. 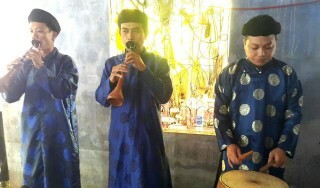 Not only singing, Hue people also commemorate the talented musician of their homeland with painting. 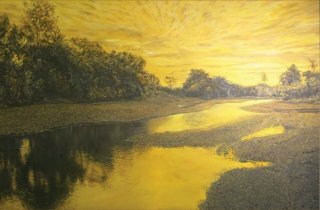 From the idea of ​​bringing Trinh’s music on the canvas, the painters from Hanoi, Hue and Can Tho: Le Anh Hoai, Nguyen Quoc Khanh, Le Huynh Lam ... exhibited their paintings in Gac Trinh (Trinh’s Attic) on the afternoon of March 31st. This was not the first time artists painted Trinh’s music. 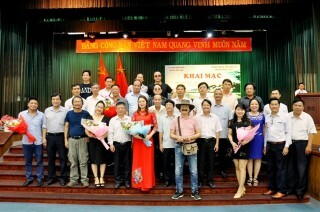 On the 14th anniversary of the death of the genius musician Trinh, artist Dang Mau Triet painted dozens of paintings on the background of Trinh Cong Son's music and organized an exhibition "Dau chan ngua ve". 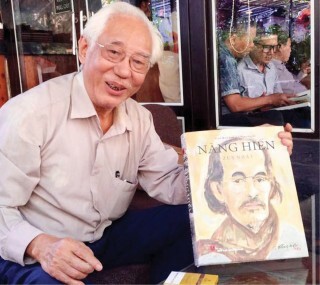 Celebrating the 15th anniversary of the death of Trinh Cong Son, Hue painters invited each other to paint Trinh, and then together to exhibit "Niem" (commemoration) to remember the talented musician. 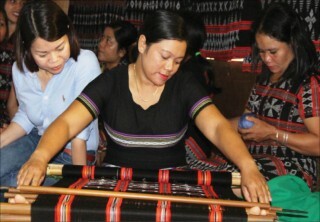 That is the love of artists for Trinh Cong Son. 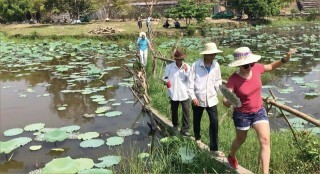 In response to that love, for many years, the family of musician Trinh Cong Son tried to organize a series of community music programs to bring Trinh's music to everyone. Although the programs were free, they were always those of high quality with the leading vocals of Trinh music in Vietnam. This is a great effort of the family to fulfill the musician's aspirations: bringing music to the poor - those who cannot afford to buy music tickets. Ms. Trinh Vinh Trinh, Trinh Cong Son’s sister, shared that it was difficult to raise sponsorship when they did not want to commercialize the program, without any advertising on the stage. 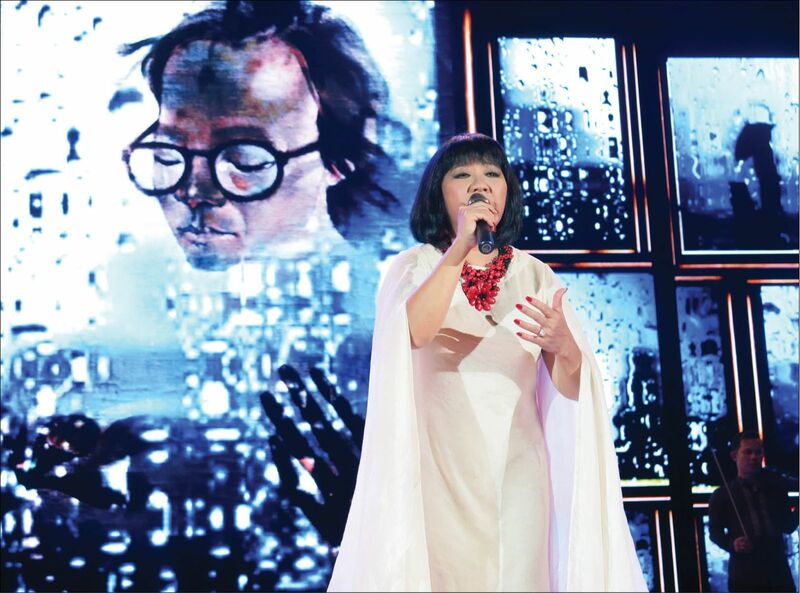 The difficulties sometimes made us feel discouraged, but the enthusiastic sentiment of the audience, the image of Hue people listening to the music under the rain gave us the strength to bring the program back to Hue. 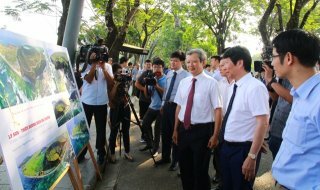 This year, the music program commemorating the 18th anniversary of the death of musician Trinh Cong Son was not held in Hue, because the family wanted to take the time to implement a longer project, including a film about Trinh Cong Son with episodes recreating images of Trinh Cong Son in Hue. 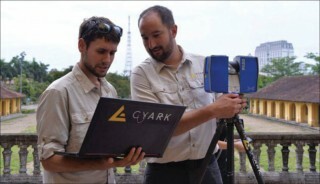 Currently, the steps of surveying and studying scenes in Hue are being conducted by the film crew, in order for the premiere to be ready on the death anniversary of musician Trinh Cong Son in 2021.